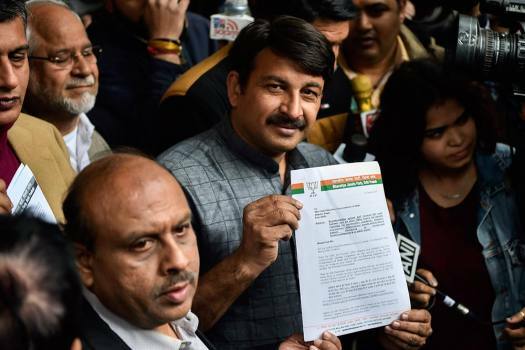 BJP Delhi President Manoj Tiwari and Leader of Opposition Vijender Gupta leave after a meeting with Election Commissioner, in New Delhi. 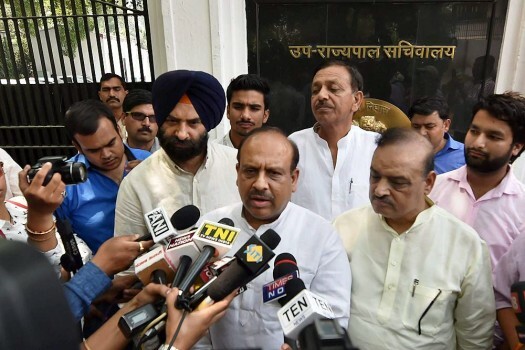 BJP Leaders Vijender Gupta and other BJP MLAs meet the Lieutenant Governor Anil Baijal at LG House in New Delhi. 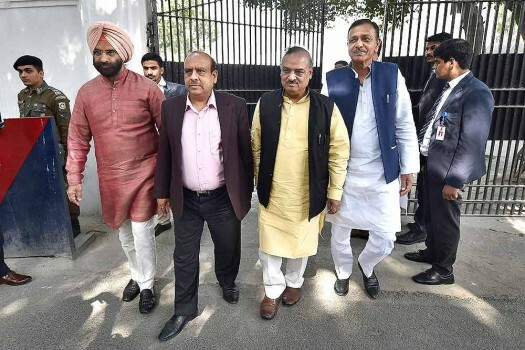 BJP leader Vijender Gupta and other BJP MLAs coming out after meeting with Lieutenant Governor Anil Baijal at LG house in New Delhi. 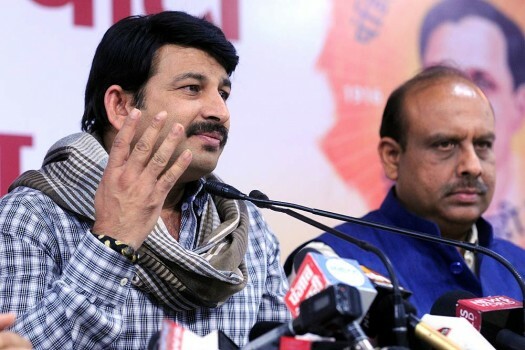 Delhi BJP President Manoj Tiwari with BJP Delhi assembly member Vijender Gupta during a press conference, in New Delhi. 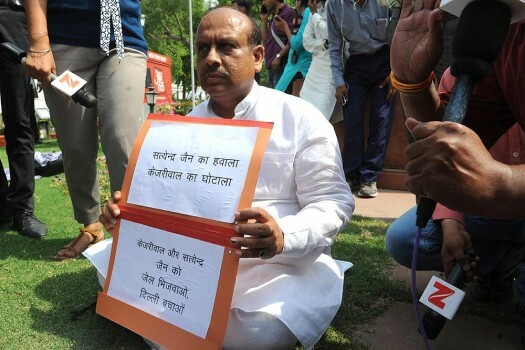 BJP MLA Vijender Gupta protesting outside Vidhan Sabha during the Special session of the Assembly, in New Delhi. 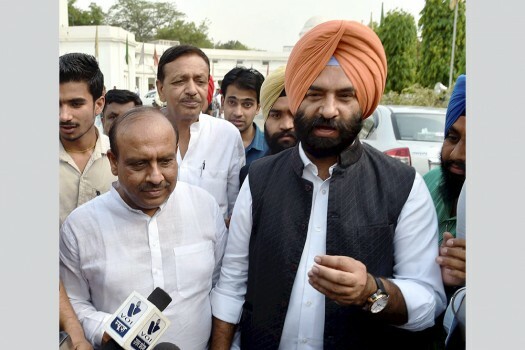 BJP MLA Vijender Gupta and SAD MLA Manjinder Sirsa after attending the special session of the Assembly, in New Delhi. Delhi BJP MLAs Vijendra Gupta, O P Sharma, Manjinder Singh Sirsa and Jagdish Pradhan meeting Lt Governor Anil Baijal at Lt Governor's Secretariat, in New Delhi. 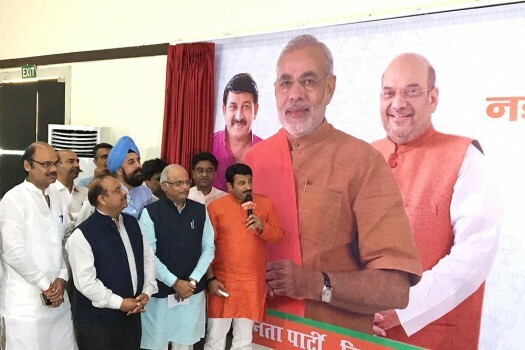 Delhi BJP MLAs addressing the media outside the Lt Governor's Secretariat in New Delhi. 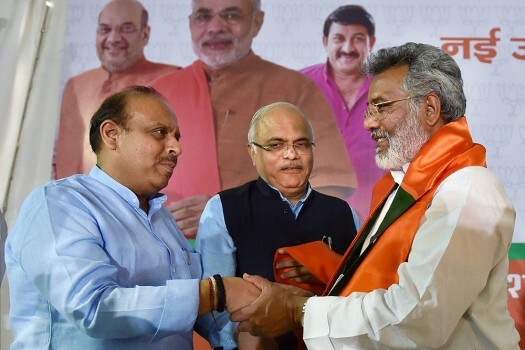 BJP National Vice President Vinay Sahasrabuddhe and LOP Vijendra Gupta greets Former Congress MLA Amrish Gautam, who joined Bharatiya Janata Party, in New Delhi. 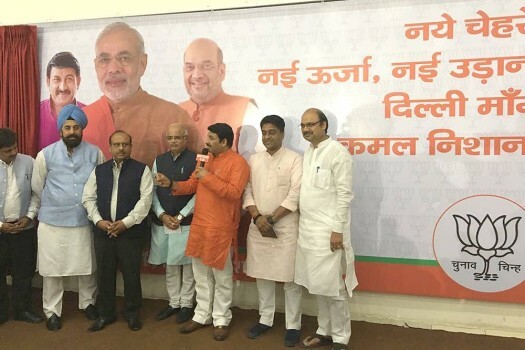 Delhi BJP president Manoj Tiwari with Vinay Sahasrabuddhe, Vijender Gupta and other leaders during party's MCD Election campaign launch, in New Delhi. 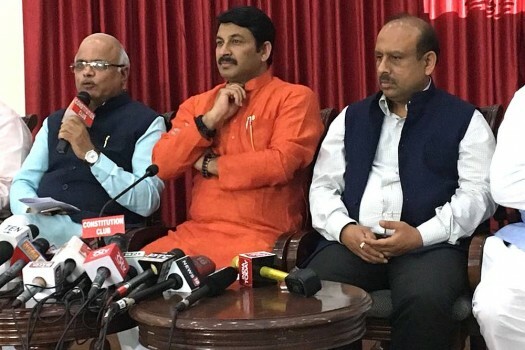 Vinay Sahasrabuddhe, Delhi BJP president Manoj Tiwari and Vijender Gupta at Press Conference to launch MCD Election campaign, in New Delhi. 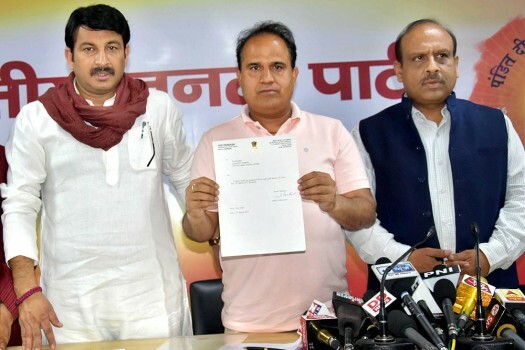 AAP MLA from Bawana Ved Prakash (C) joining BJP, in presence of Delhi BJP President Manoj Tiwari and party leader Vijendra Gupta, in New Delhi. 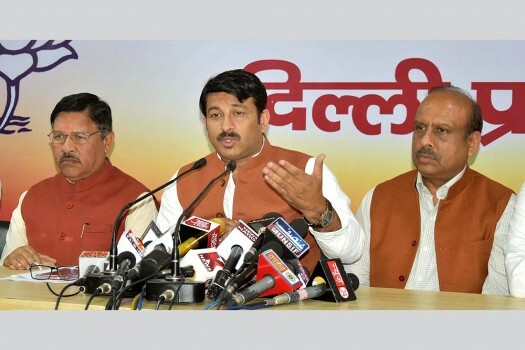 Delhi BJP President Manoj Tiwari with party leaders Shyam Jaju and Vijender Gupta addressing a press conference on MCD elections at party office, in New Delhi. 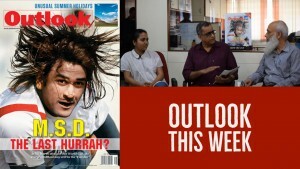 The 'drama' of ruling AAP over full statehood will also be highlighted in the budget session, Gupta said.